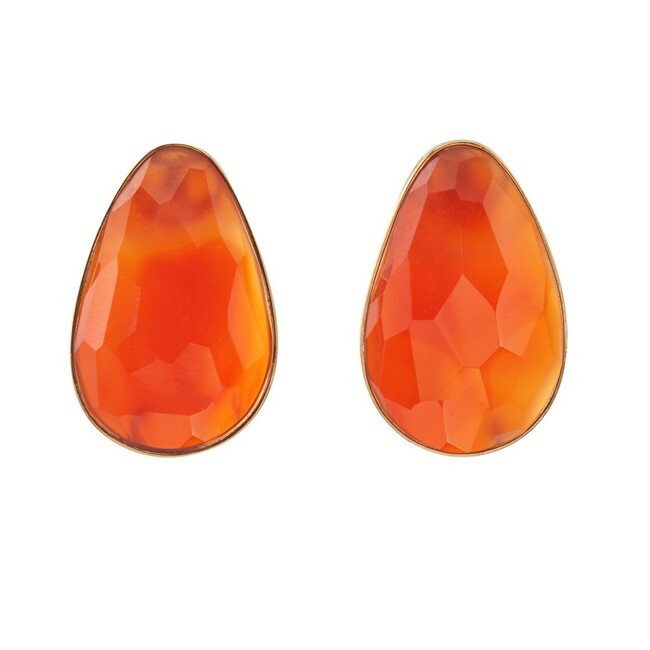 These stunning 18kt yellow gold post earrings feature 2 Carnelian Agate gemstones of 17.03ct total weight. The simple bezel of these earrings lets the intense color of the stones speak for itself. This is a Jorge Adeler custom design.